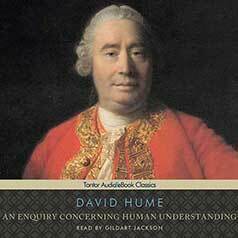 First published in 1748, An Enquiry Concerning Human Understanding is a classic of empiricism from Scottish philosopher David Hume. Published in 1748, An Enquiry Concerning Human Understanding is Scottish empiricist philosopher David Hume's distillation of his mature philosophy. Addressing themes including the limits of human understanding, the compatibility of free will with determinism, weaknesses in the foundations of religion, and the appeal of skepticism, An Enquiry Concerning Human Understanding is Hume's attempt to revise and clarify the ideas of his earlier A Treatise of Human Nature. A major work in the empiricist school of thought that included John Locke and George Berkeley, Hume's work influenced such later authors as Adam Smith, Immanuel Kant, and Jeremy Bentham. Controversial and widely debated since its publication, An Enquiry Concerning Human Understanding is a classic of empiricist philosophy whose questions remain as relevant today as ever.